Do you feel broken tonight? Do you feel like your heart is shattered all over the floor in little shards… some pieces so small they might never be found? Do you wonder if anyone could ever put you back together and make you valuable again? He proved it with Zaccheus… and with the woman caught in the very act of cheating on her spouse… and with a guy controlled by myriad demons… and with the Samaritan woman who had been married five times and was at the time shacking up with a different guy… and with friends and family who would turn their backs on Him… and with the very soldiers who nailed Him to a cross… and to thieves who cursed Him as He was dying. Oh, He most certainly cares about the broken in this world. He cares enough to stop for them. He cares enough to pick up all their broken pieces, put them back together and restore them to amazing beauty and functionality. Are you broken tonight? 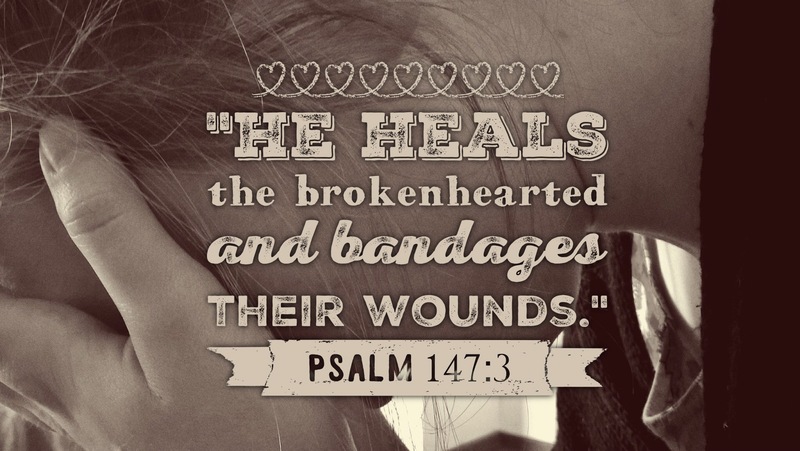 Then you are in a good place for God to step in, heal your hurts and bandage you up. And remember, though scars remain… scars don’t have to remind you that you’ve been hurt… they can instead remind you that you have been healed. Glad to know it made a difference today!